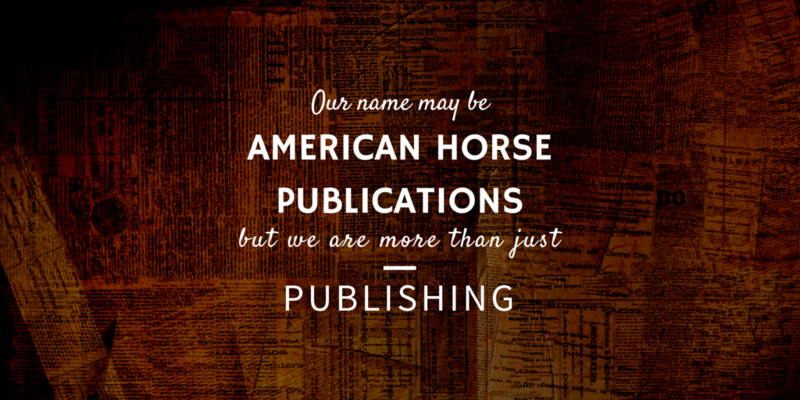 American Horse Publications (AHP) has united equine-related publishing media, businesses, professionals, colleges, and students for nearly 50 years and here is your chance to join at the half year rate. Half year membership is available from July 1 through December 31 to new members. Rates are based on half the cost of annual dues for the eligible membership category. Membership will renew at the annual rate. The best way to learn why you should become an AHP member is to read what others say about their experience. Erpelding also shared her thoughts about one of the organization’s most popular benefits for members, which is the press release service, which allows members to receive and send press releases to equine media. “AHP is worth the money in just receiving all of the press releases that are sent out every month,” said Erpelding. Chris Johnson, owner of Eastern Hay, has already seen benefits from his AHP business membership. "Joining AHP was a great move for Eastern Hay,” said Johnson. “Our press releases are sent out promptly and have been picked up by major players such as The Holistic Horse, Julie Goodnight Horsemanship, veterinarians, and the University of California at Davis. I'm very happy with the benefits our membership has brought us." To take advantage of the half-priced offer, visit www.americanhorsepubs.org/become-an-ahp-member. American Horse Publications was founded in 1970. AHP membership includes equine-related publishing media, professionals, businesses, organizations, and students. For more information, visit our website: www.americanhorsepubs.org or contact Chris Brune at ahorsepubs@aol.com or 386-760-7743.